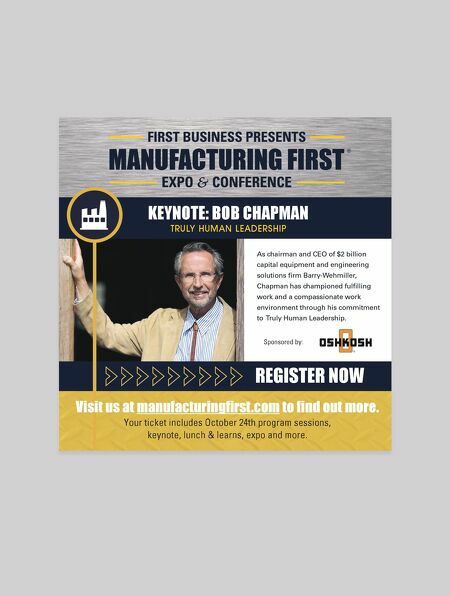 KEYNOTE: BOB CHAPMAN REGISTER NOW Visit us at manufacturingfirst.com to find out more. 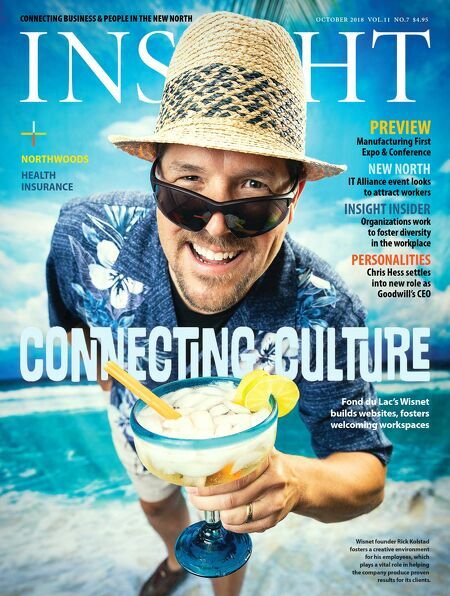 Your ticket includes October 24th program sessions, keynote, lunch & learns, expo and more. Sponsored by: TRULY HUMAN LEADERSHIP As chairman and CEO of $2 billion capital equipment and engineering solutions firm Barry-Wehmiller, Chapman has championed fulfilling work and a compassionate work environment through his commitment to Truly Human Leadership.